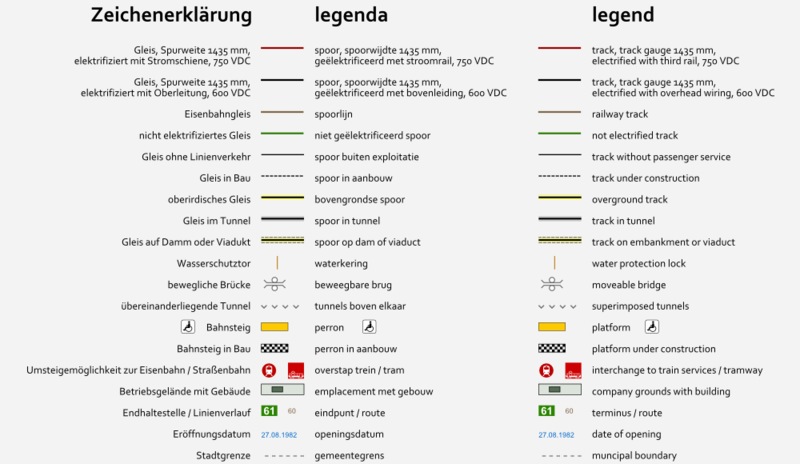 Complete network of the GVB and the museum tramway. 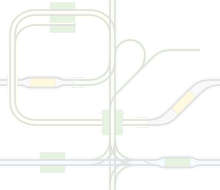 Complete network of the GVB. 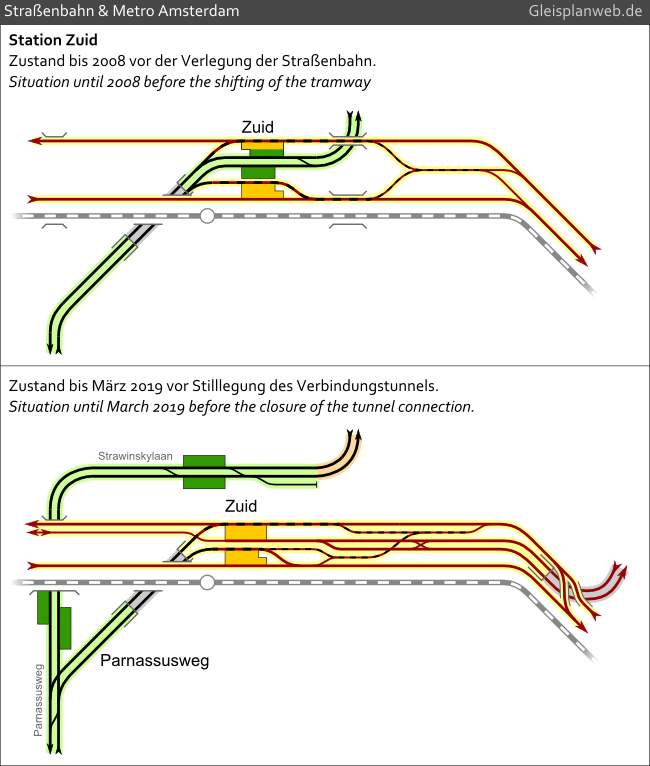 Situation before the allocation of the tram 2008 and before teh closure of the tunnel connection 2019. 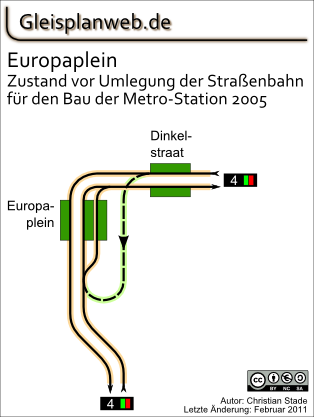 Situation before the allocation of the tram 2005. 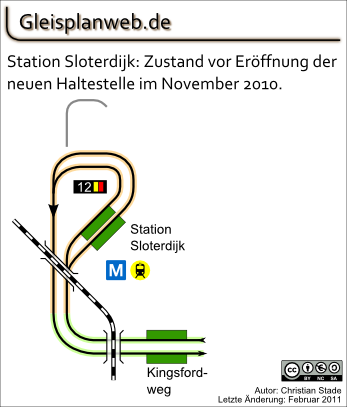 Situation before the opening of the new station in November 2010. 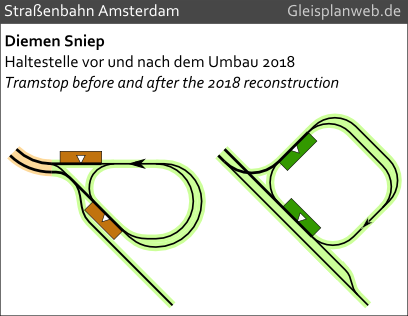 Tram stop before and after the 2018 reconstruction. Metro & tramway: Line to Amstelveen closed for the convertion from Metro to tramway. 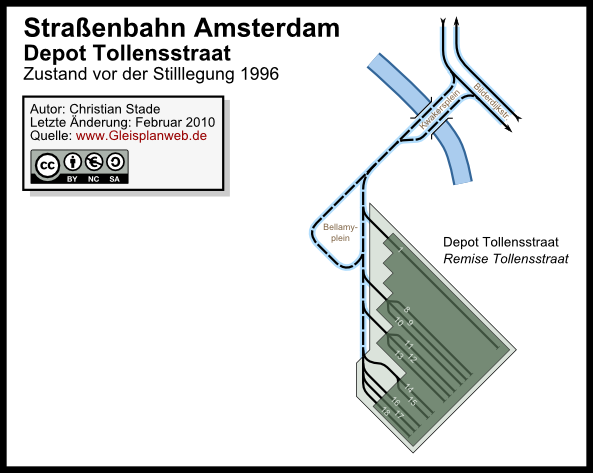 Tram: Loop Diemen Sniep completely reconstructed. The metro Noord-Zuidlijn is in operation. For this reason many tram lines changed their routes and numbers. tram: New loop at Centraal Station under construction. 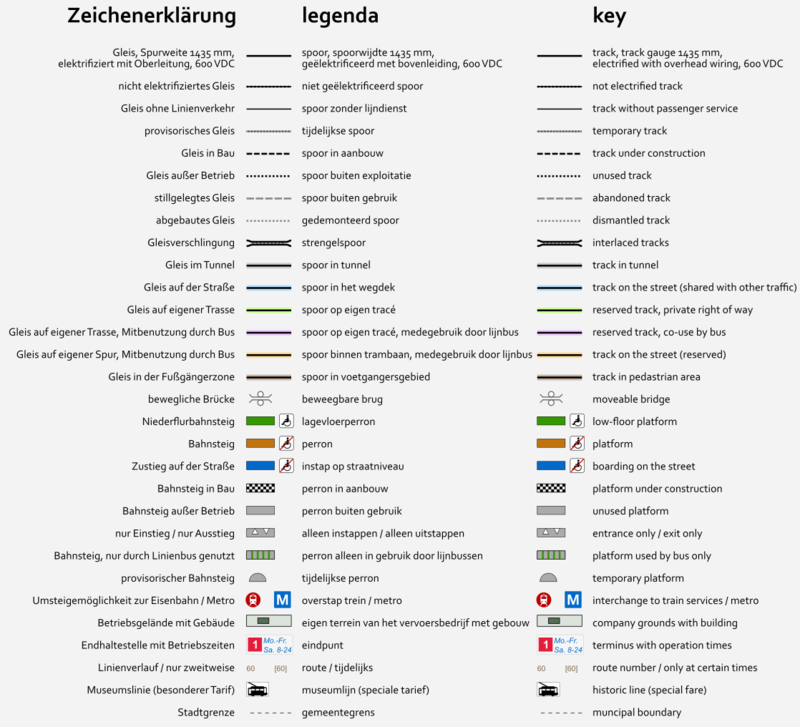 Metro: Several details and current changes added.